Compare car insurance premium rates from all the leading providers in Kenya. Get additional benefits like extra limits for windscreen damage, replacement courtesy car and more all online. Our experienced service team will answer any questions you have and give you expert advice to help you get the best insurance cover for your car. PESABAZAAR.com is the leading price comparison platform for online comprehensive car insurance in Kenya. We provide quotes from top insurers in Kenya to help consumers choose the best cover. Our service is completely free of charge to the consumer, we charge 0% fees or commissions. We partner with the best providers in the market to get the best rates for motor insurance for retail customers with one or more vehicles. This covers private and commercial motor vehicles for carrying own goods. Comprehensive car insurance includes cover for physical damage, theft or fire of the insured vehicle and also includes third party property damages, bodily injuries and legal liability of the insured. The policy will compensate the insured for any costs arising out of an accident, theft, flooding, earthquake or fire. This is the main difference with third party only (TPO) cover, which covers costs and damages to the third party property and bodily injuries, it is the minimum cover policy required by the law. Customers with fleets of vehicles can enjoy discounted rates for their annual premiums. Customers can also enjoy discounted rates thanks to a No Claims Discount (NCD) for good drivers who are rewarded for their safe driving habits. Our platform breaks down the different motor insurance quotes in Kenya making it easy for our customers to quickly and accurately compare the different policy benefits on offer and buy online all at your convenience and comfort. Clients view online auto insurance quotations, make payments for the premium and receive their sticker delivered free of charge same day in Nairobi and within 2 business days for the rest of Kenya. We recommend two main benefits on top of the basic car policy, the excess protector for own damage and the political violence & terrorism (PVT) cover. In the event of a claim, customers who don’t have an excess protector extension may be forced to pay high charges for the excess on the policy, which ruins the principle of indemnity. In addition, the basic comprehensive motor insurance policy does not cover damages to the insured car arising out of events of a political nature or terrorism. Therefore two options will cover the insured and owner from the two biggest risks and expenses associated with damage to the vehicle in Kenya. There are flexible ways to pay for your comprehensive policy premiums online, payment can be done in instalments, and Premium Financing (IPF) is also available. Do you add any commissions on your prices? No, the motor vehicle insurance quotes you see are the lowest rates negotiated from our panel of insurance companies in Kenya. These are exclusive motor insurance rates and you may not get them elsewhere in Kenya. If it's not possible to pay the full premiums in full, you may pay 50% of the premiums, the provider will issue a 1 month policy which is then extended when you complete the payment. In addition we can arrange an insurance premium financing, on this scheme, you pay a small cost to get financing from an institution. Yes, some of our packages include a courtesy car. For others, you can add this optional benefit along with other benefits like personal accident cover, extra limits for windscreen damage and radio cassettle damage. Yes, valuation of the vehicle is required to complete the car insurance policy. On your quote for car insurance, we will use the closest known market value of the vehicle and once the cover is placed, we will issue a valuation slip which you can use to command a FREE valuation at the appointed valuation outlet. This policy will cover fire, theft, accidental damage to the vehicle. We advise that you include an excess protector and political violence cover to your policy to make it fully comprehensive. Congratulations, you might be able to qualify for a discount on your car insurance by taking out a multi car policy. Most insurers give discounts to owners of fleets(more than 2 cars). Are you good driver? If you have a low claims ratio, you could qualify for a further discount on your car insurance quote in Kenya. After reviewing and agreeing to your online quote for motor insurance, ee will need a copy of your National ID/Passport, driving licennce and logbook of the vehicle in order to place your car insurance. These are required for Know Your Client (KYC), mandated by financial regulation in Kenya. What’s covered on comprehensive car insurance in Kenya? It is important to scrutinise your motor insurance quote when you view it online or receive it from your broker or agent. Get the cheapest car insurance rate is not necessary the best option in Kenya, cheap can be expensive in the long run. Here we take a deeper look into what’s covered and not covered on a standard motor insurance quote policy in Kenya. This is a free limit provided by the car insurance policy, recognising that windscreen damage is a common occurrence for most car owners, this is provided free, meaning that the insured does not have to pay any excess/deductible in the event of a claim. Tip: Take note of the limit provided on your motor insurance quote to make sure it is sufficient to cover the cost of your windscreen, some vehicles may have expensive windscreens therefore require a higher limit than provided on the auto insurance quote. The standard limit provided by most car insurance companies ranges from KSh 20,000 – 50,000 per annum. You can also buy extra windscreen cover limit, this option is available on every insurance policy in Kenya online and offline. It costs 10% of the extra limit purchased. If you are buying an extra limit of KSh 20,000, the cost will be 10%*20,000 = KSh 2,000 per annum. Again similar to the windscreen limit, this is a free limit provided on most insurance policies. This has gradually lost its significance over time as the theft of car radio/stereo/CD and music players has fallen drastically over time. Again it is important to stress that should you require an extra limit, it should be purchased as an added option on the insurance policy, many car owners usually accessorise their motor vehicles with state of the art sound and entertainment systems which themselves become a bigger target for thieves and robbers and damage if the car is involved in an accident. This is possibly the main risk covered by comprehensive motor insurance in Kenya. The insured may be liable for third party property damage, bodily injuries, death and also legal liability. The law in most countries requires most road users to have an insurance against third party liability and in Kenya it’s no different. Third party property damage may involve buildings, other vehicles on the road, personal & handheld belongings and many more. Due to the high rate of road accidents in Kenya, third party bodily injuries and death are a common occurrence; thousands of lives are tragically lost every year on Kenyan roads. What are the most recommended optional benefits? On top of the basic cover that your comprehensive car insurance will cover in Kenya, there are several optional benefits that can be added to your policy to further secure your policy. To get you a cheaper car insurance rates in Kenya, some insurance companies may bundle these options and sell it bundled. The excess protector is the single most important optional add-on that most car owners add to their policy in Kenya. It cushions the insured against a high insurance excess/deductible payable in case of a claim. There are two types of excess protector, excess protector for own damage and Full Excess Protector. As the naming suggests, the excess protector for own damage only covers claims arising from damage or partial loss to the insured vehicle. Partial loss on this means small thefts and or vandalisms e.g. theft of side mirrors, wheel caps etc. The full excess protector will cover own damage and also cover total loss of the vehicle from theft. In the event of a claim, the insured is normally required to pay an excess of between 2.5% - 25% for the cases of successful theft of the vehicle of the insured value of the car which can be a huge amount of money and cause financial burden at a time of distress. For example, for a car worth KSh 1 million, paying an excess of up to KSh 250,000 can leave an insurance customer well and truly dissatisfied. 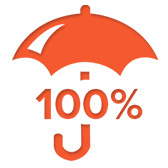 However, thanks to the excess protector, the insured will not have to pay this as the insurer takes over the entire cost. The excess protector costs 0.25% of the value of the insured car for own damage. For the full excess protector, this goes for 1-2% of the insured vehicle value although some insurers may hesitate to give this option given to the high numbers of dubious and suspicious vehicle theft claims. Tip: In the event of a motor insurance claim where the excess protector is utilised, it is considered depleted meaning the insured has to purchase this excess protector option once again immediately after the claim for it to be reinstated on their car insurance policy. Most Kenyans are not aware that Political violence and terrorism is not covered on all general insurance policies, it is an extensions that can either be added to most of the common general insurance policies or taken as a standalone. It is therefore advisable to take this option to protect your treasured asset from any politically motivated damage. A common occurrence of these is strikes, protests and riots, which arise out of political negotiations and lead to destruction of public property, lawlessness and disorder. The cost of this cover is normally charged at 0.25% of the value of the insured vehicle. Tip: When buying your car insurance online or through the traditional channels, it is important to compare quotes from multiple insurance providers in Kenya to make sure you are getting the best price for the best cover. Many insurance companies give a good discount when a combo package including an excess protector and a PVT cover are taken together as opposed to when the basic car insurance policy is taken on its own. A personal accident cover is one of the most popular insurance covers both for the corporate insurance market and the retail insurance market. It is most commonly taken as an add-on. While the standard car insurance policy may have a small limit for emergency medical expenses, nothing can replace the utility of a personal accident cover. It combines elements of a medical insurance cover and those of a life insurance cover. Take your time and go through your car insurance quotes online so that you can a clear understanding of the scope of cover. Note: Car insurance does not cover liabilities to family members, therefore in the event of a car accident, any medical expenses or liabilities by members of the family travelling in the accident vehicle are not cover. It is therefore crucial to arm yourself with a personal accident cover. Note: This service has insurance excess, which is the first 3 days that the insured vehicle is garaged; this means the insured will not be paid for those first 3 days. AA cover is one of the useful services for a car owner in Kenya. In the event of an accident or a car breakdown, AA cover will be your saviour. Get your vehicle professionally towed or small repairs done to kick-start your car free of charge courtesy of your AA membership. For the paltry sum of KSh 3,500 a year you can get an AA cover. In addition to AA cover, other companies like INFAMA Kenya also offer towing and recovery options within the main towns and cities. What’s not covered on a car insurance policy? Much as a comprehensive car insurance policy should be ‘comprehensive’ in nature, there are a few things that it doesn’t cover. Below are some of the major ones. This goes without saying! Motor vehicle insurance will not cover loss in value of a vehicle due to wear and tear and depreciation of the vehicle. In addition, car insurance does not cover damage to tyres e.g. wear or punctures to the tyres. However, some car insurance companies like APA and Kenya Orient in have developed insurance products that extend cover to car tyres as well. Your car insurance policy will not cover for third party liabilities should you take leave Kenya. Therefore, should your vehicle damage any third party property or cause bodily injuries to members of the public that will not be covered by your comprehensive motor insurance in Kenya. Should it become evident that a car accident or a claim on the insurance policy was a resultant of negligent behaviour, it will not be paid out. Similar to many insurance policies, any insurance claim arising out of use of illegal drugs like class A drugs cocaine, heroine and others will automatically disqualify the indemnity to be extended to the insured. Using may sources of online car insurance rates in Kenya, you will normally be presented with the exclusions that your cover does not extend to. This specifically limits the use of vehicles to this. Because airports have special purpose vehicles that are permitted to operate in restricted zones, ordinary car insurance policies cannot cover these areas. Motor vehicles required for this may be of different nature with specialised functionalities.